Learn the basics of improv in this fun and playful workshop! You will learn key elements of improv, play improv games, and work as an ensemble. No theater experience necessary. Improv is for everyone, and it is transformative on and off stage: it teaches you to be present, spontaneous, and make everyone around you look good. Come and see how magical improv can be. Your instructor, Debra Schifrin (HBS), has been performing and coaching improv for over 15 years. She performs most Friday and Saturday nights in San Francisco with Flash Mob Musical (musical improv), Phasers on Stun (improvised Star Trek), and Rag Tag Improv (rotating improv formats). 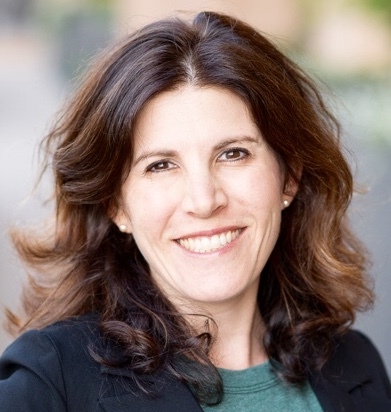 She teaches improv to students at Stanford Graduate School of Business, and she leads improv-based corporate trainings at organizations and universities. In her earlier career, Debra was a reporter and producer for National Public Radio in Washington D.C, where she was a founding member of Washington Improv Theater. WAITLIST ENABLED ON THE BOTTOM OF PAGE.